Rachel Heng was born in Singapore and lives in London. She graduated from Columbia University in the City of New York with a BA in Comparative Literature & Society. 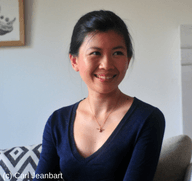 Starting this fall, she will be pursuing her MFA in Fiction and Screenwriting at UT Austin’s Michener Center for Writers, where she has been awarded the James A. Michener Fellowship. 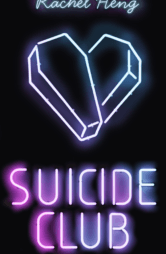 Rachel’s debut novel, Suicide Club, will be published by Sceptre, Hachette (UK) and Henry Holt, Macmillan (US) in July 2018. Rights have also been sold in Sweden, Portugal, Italy, Czech Republic and China. Suicide Club is available for pre-order in hardcover and e-book on Amazon. Rachel’s short stories have appeared in The Offing, Prairie Schooner, the minnesota review and elsewhere. Her fiction has won Prairie Schooner’s Jane Geske Award, was recently nominated for the Pushcart Prize and has been recommended by the Huffington Post. Rachel’s non-fiction has been published in AfterGLOBE and Columbia Journal of Literary Criticism.